Get Off The Couch and Into the Action! Events and Other Happenings! Today we took a walk away from my diggs in St. Jean De Bray along the gentle banks of the Loirre and to a twelfth century church, actually a small cathedral St Jean Baptiste. Notably, the cathedral was built after the first of the crusades during the reign of Saladin in Egypt and over Jerusalem and one hundred years before the crusades were considered an ultimate failure. It was humbling to know that where I stood, young men knelt to have their swords and armor blessed before they mounted their horses and took off to fight for the cause of freeing the holy land, the spot of needless bloodshed and war. That was nine hundred years ago. Let me say that again, that was nine hundred years ago. What has changed? Don’t worry. The question was rhetorical. Eventually, the home team outlasted the invaders. Time, hubris and distance determined the losers then as it will today in the middle east and into Asia minor. 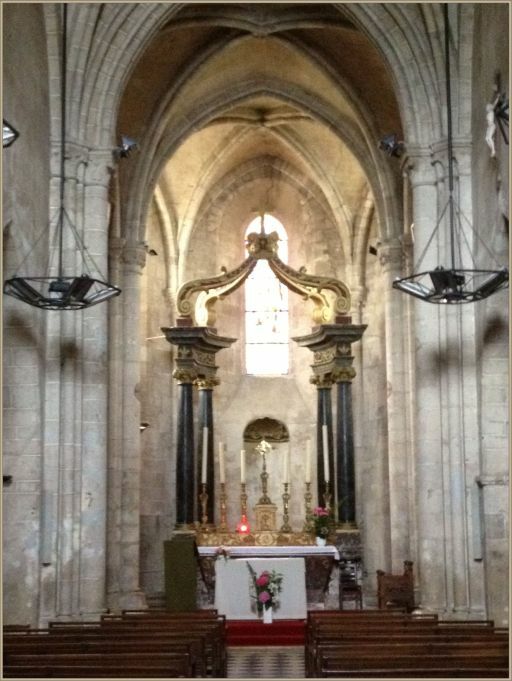 So, filled with the visage of cathedral, and onyx and marble floors, much the same in all but size that I found years ago in the cathedral Notre Damme in Paris, I walked on, up through the center of this 12 th century ville, past the Madison de bourg and towards the cemetery. What struck me most about the cemetery were the crosses of the war dead. Now in my generation, now in their fifties, there were jokes told about how quickly the French surrendered to the Germans during World War II? This surrender would normally speak of cowardice. But now seeing the rows of war dead and scores of dead children, casualties of the Franco-prussian War of 1870 to 1871 and the dozens of small white crosses in the center of this small town’s cemetery from World War I commemorating the burial places of the town’s war dead, I realized that this was no country of cowards. I had been wrong about the French in World War II as well. Before me, the many names of war dead killed fighting the Germans, and those eventually taken away to concentration camps. Again these were no cowards. This town, like most of France had given up the flower of its manhood and suffered the loss of even its children so that it’s society could survive. Surrender in WWII had been inevitable. Out flanked by a superior war machine and undermined by an incredibly flawed theory of defense, the French understood that no conquerer could lay upon them for long. To our own national credit, we helped rid the French of the Bosch, just as Saladin had come to Jerusalem and rid the Holy City of the Infidel Christians. No army of occupation can outlast the desire of a native population to be free and to determine its own course of affairs. The choice of the French was obvious. Surrender and preserve your architecture, lives, society and social institutions and values, or fight to extinction. I am glad that they picked the former. One or two thousand years of social and political architecture should not be sacrificed by governmental fiat. Why select a society of guns, when one can have bread and butter and wait for the intruder to leave. So, as I finally sat in the sun of a downtown cafe, dining on un sandwich de pullet and a chocolate filled éclair, how does any of this apply to the situation in which America finds itself today. It is quite simple, I thought. In Iraq and Afghanastan and every place in the middle east and east to Kashmir, our destructive presence is fought and tolerated as a temporary aberration. Whether it is one year or ten or two hundred years, we cannot stay forever. The indigenous populations know it. Heck, we know it ourselves. It is why we stopped flying the Union Jack over ourselves in 1776. It is why the Brits got out of North America. It is why the French came home from the crusades. It is why the French tolerated a temporary army of occupation. All bad things do and must come to an end. It is time to fold the tents and roll up the flags and come home…for good. Mike Murburg sums up the situation beautifully and esconses the notion that history has a habit of repeating itself. 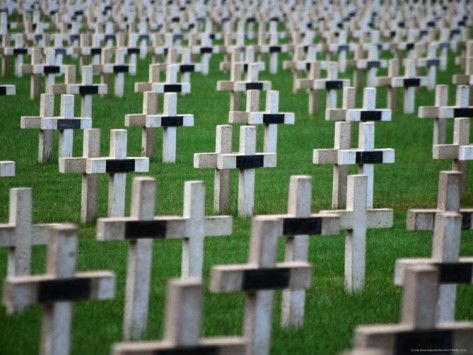 It’s amazing how some introspective peppered with thought and a massive cemetery could change ones view on the perceived cowardliness of the French. Good points and excellent article.